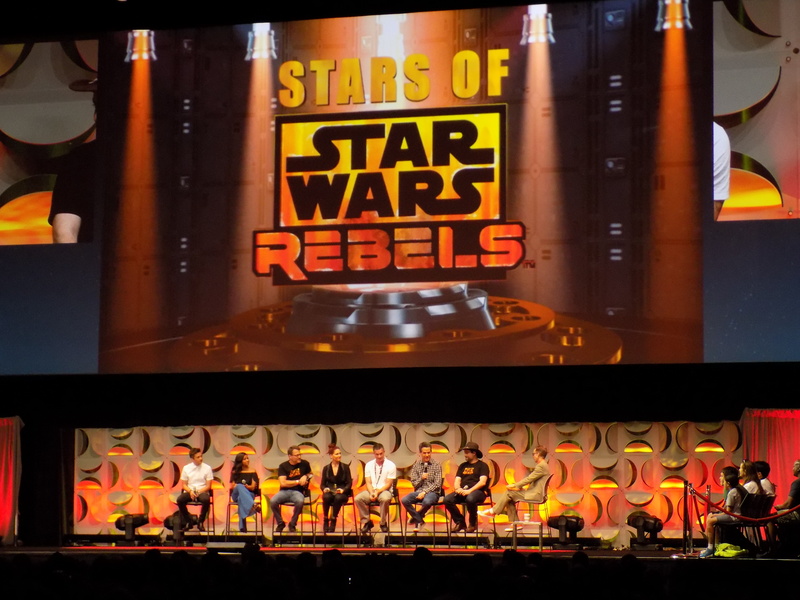 Are you heading to Star Wars Celebration this year? Is this your first time? Then young Padawan, here are some strategies that may help you at this grand event. 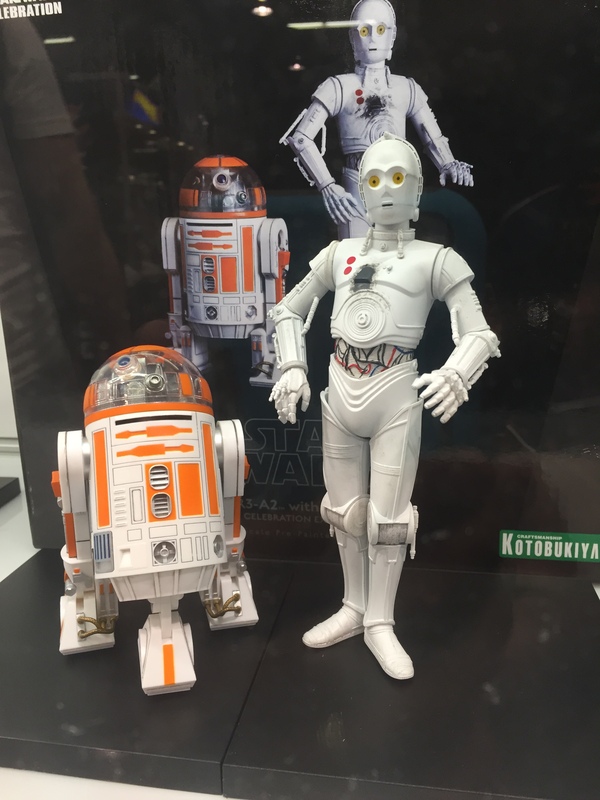 Having tackled Star Wars Celebration 2015, there are definitely things I wish I had known going in, but hopefully my experience will help to make your experience that much better. 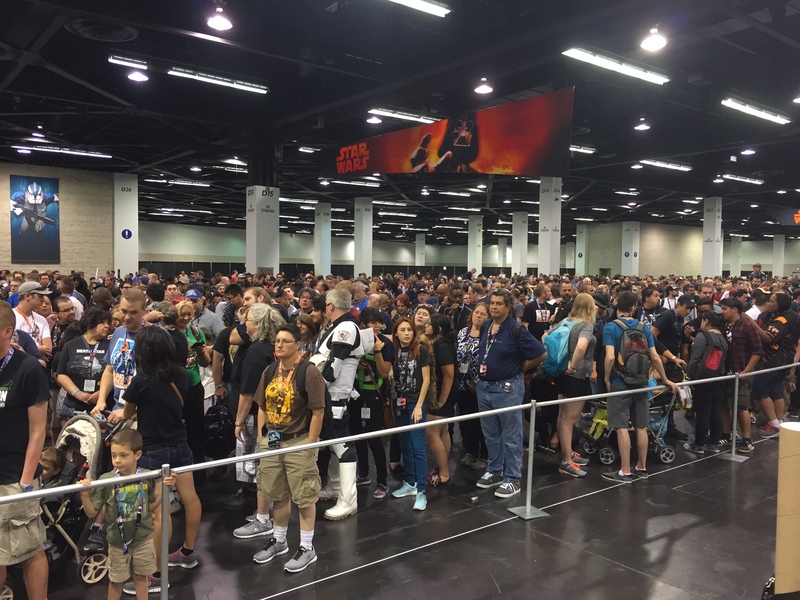 Here are five tips to making your Star Wars Celebration a success! Pre-Purchase – At this year’s celebration we had the opportunity to pre-purchase a number of items including t-shirts, lanyards, and official programs (none of which I saw available in the Official Celebration Store). Also, by purchasing early you had the chance to buy exclusive pins not available to anyone else. They even mailed all of the items except the programs early so attendees could have them without having to wait in line to pick them up! Not only were they nice items, but many attendees kept asking where they could get them – so if you get the chance, buy early. Go Shopping First – I can’t stress this enough. Go shopping first! It’s probably the most important piece of advice I can give. If you’re going for the entire Celebration, you’ll be tempted the first day to go to the opening panel. In Anaheim, there was an early first day session to kick off the festivities which split the line in two – one queue for the opening session and one queue for going onto the floor. This only happened the first day. If you’re there the first day, skip the opening panel. Odds are it will be available online for simulcast viewing. Instead, get there early and line up to enter the main floor and plan to go shopping. Otherwise you’ll miss out on some choice items you want. Choose Wisely – Do you want that exclusive LEGO set or do you run for the official Celebration Store? Do you want to see that Disney Parks Star Wars preview panel or get your favorite Star Wars author’s autograph? There are almost always multiple events happening all at the same time and you won’t be able to do all of them or get all the cool items that are available (and not even for lack of cash, although that might be a problem too) so make sure to plan ahead. Download the official Star Wars Celebration app to your phone, prioritize the things you want to do the most, and plan, plan, plan! Which leads us to the next bit of advice. Bring a Friend – You probably have a friend who loves Star Wars almost as much as you. Almost. Still they’re good enough of a friend to be a placeholder in line or help you get that extra item you really want. This is one of those opportunities where it’s wise to divide and conquer. One of you gets that autograph while the other holds a spot for you in the next panel discussion. As long as you’re not letting in twenty people in line, usually people are understanding and won’t make a fuss. And you can often save someone a seat inside even if you can’t walk in together. Don’t Underestimate Lines – There will be long lines for everything. You can wait on the front end and be sure to get into your favorite panels but that might take two, three, or more HOURS to get in. The more popular the event, the longer the line. This is a situation where you just have to sacrifice and know that you can’t do it all. Maybe your plan will be to attend multiple smaller sessions and skip the big ones and watch them online later. Or maybe you have just got to be in the front when Carrie Fisher tells about her experiences on Episode VII and you’ll just miss the rest of the day. Either way, just know that lines can be exceptionally long. Knowing these things in advance will hopefully help you have an even better time than you would have otherwise, but I’m sure no matter what, it’ll be a blast! Next Next post: Pandora’s Floating Mountains Can Be Seen at Animal Kingdom!